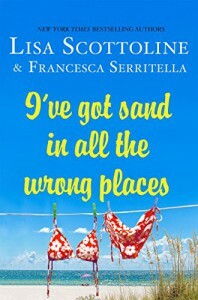 Lisa and Francesca are back with another collection of warm and witty stories that will strike a chord with every woman. This six book series is among the best reviewed humor books published today and has been compared to the late greats, Erma Bombeck and Nora Ephron. Delia Ephron said of the fifth book in the series, Have a Nice Guilt Trip, "Lisa and Francesca, mother and daughter, bring you the laughter of their lives once again and better than ever. You will identify with these tales of guilt and fall in love with them and fierce (grand) Mother Mary." This seventh volume will not disappoint as it hits the humorous and poignant note that fans have come to expect from the beloved mother-daughter duo. Half memoir, half a collection of essays, this was heart-warming and comedic. I hadn't read the books that come before this so I wasn't sure what I was expecting at all, but this is a fabulous book to pick up whimsically--the only context you need to know is that Lisa is Francesca's mother, so you don't figure that out a third of the way through and feel like an idiot as I did. Though this is marketed more towards mother, I enjoyed it though I'm in my early twenties with no intention of ever having kids. There were still a lot of relatable experiences about growing old, about friendship, and about maintaining relationships with various people in your life. I did enjoy Francesca's dating scenes the most of the book, but it would be quite easy to pick and choose any sections that appeal. From dealing with the aftermath of assault to making butternut squash soup, there's a bit of everything in here. Though I normally prefer straight up memoirs when going for non-fiction, this essay collection was delightful and I recommend picking it up to anyone looking for something light, funny, and touching.